Welcome to the Weekend Wrap Up Party! 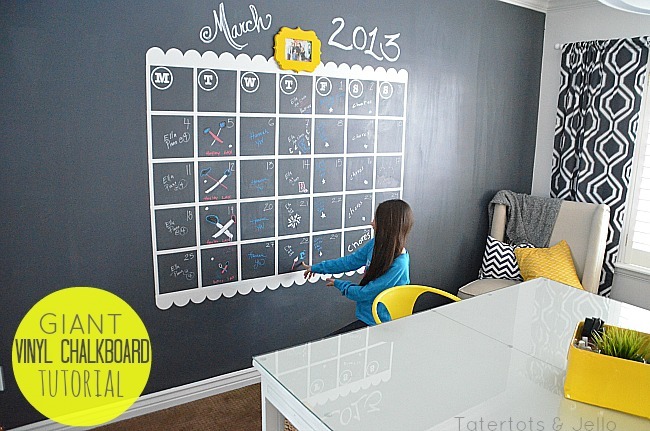 the Chalkboard Family Calendar Wall! I’m going to share the full tutorial on Monday. but suffice it to say it’s my favorite crafting tool — and I’m excited to get to give one away to one of you! You must use this link — along with the code to get the discounts! Plus the ability to open .SVG files, so you can use all kinds of shapes and outlines, even those you make in other drawing programs. $70 off of a Silhouette Portrait package and $80 off of a Silhouette Cameo package! use code “TATER” at checkout, and you must use this link — along with the code to get the discounts! When you add a link, Please add a link to Tatertots & Jello so everyone can join in the fun!! Weekend Wrap-Up – and $100 Michael’s Gift Card Giveaway! Weekend Wrap Up Party — and Two Awesome Giveaways!! Weekend Wrap Up Party — and Clean Mama Printables Giveaway!! WOW! So many cool things. The mint chocolate fudge made my mouth water! The green eggs and hame (790) made me laugh! Thanks for the chance to win this awesme machine! THANK YOU so much for this opportunity! I would LOVE LOVE LOVE to win the Silhouette!!! Thanks for the party. I’m hosting my Homemaking Linkup Weekend and would love to have you join, if you haven’t already! Thanks for hosting Jen! I am always in awe of all the creative women here. Linked up for the first time, thank you for hosting! Thanks for hosting. Happy to link up again. Great link ups this week too. Wow, I’ve never seen SO many great ideas in one place…this is a huge party! 🙂 Thanks for creating such a fun place to be Jen! Hi Jen, Thanks for hosting the party. Looking forward to your chalkboard wall tutorial. It looks wonderful! Fingers crossed for the silhouette too! Thank you so much for hosting Jen, I love your calendar wall so much!! ok so sorry, newbie back again:/ what a great first impression i am making:). i copied the html below your button that you asked to put in your post, but when i pasted it in my html it says that a tag is not closed. would love some help with that as well. thank you!!! Thanks for hosting, Jen! I LOVE your family calendar wall- great idea! Have a fabulous weekend! hello:) my first link up party! introduced by my dear friend Amy at Commona-MyHouse. blame it on the newbie in me, but i selected the wrong photo for my link-up. how do i delete my link and put up the right photo? Thanks for the FAB party as always Jen! I think you host the most popular party in town! Thanks! Some Orange French Toast caught my eye 😉 Off to peek! Can’t wait to go check out all the amazing inspiration! Thanks for hosting!!! thanks for hosting-this party is always insanely crazy-filled with inspiration! Thanks Jen, wonderful as always! Thanks for hosting Jen. I hope you have a fantastic weekend! your project looks amazing!! Thanks so much for hosting, Jen!! Thanks so much for hosting Jen!!! Thanks for the party Jen!! Have a great weekend! Excited to be here! This is my first time linking up! Can’t wait to look around! Thank you so much for hosting, Jen! Have a great weekend.